In a press release, the Foreign Relations Secretariat (SRE) said that Mexico will be the location for the General Assembly of the Organization of American States (OAS) in 2017. This will be the first time that the General Assembly meets in Mexico. The press release noted that Mexico is a founding member of the Organization of American States, and has helped strengthen the inter-American system through respect for international law, peaceful solutions to controversies and international cooperation for development and security in the hemisphere. According to the Foreign Relations Secretariat, the 2017 meeting of the General Assembly will allow American countries to implement their strategic vision and renovate the OAS to face common challenges. The OAS is the highest forum for cooperation and dialogue in the Americas, and was created in 1948 through the Bogotá Pact. 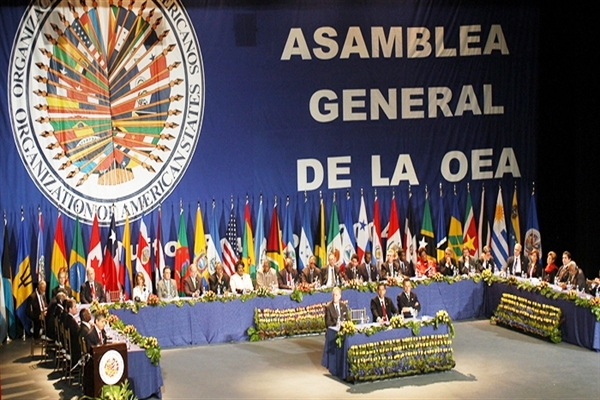 The General Assembly is the highest body of the OAS, and meets annually.